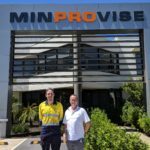 Minprovise has doubled its site service capacity by 100 per cent in the last year. The company has attributed this growth to several factors, including consistent investment in upskilling, training and development of staff, challenging inefficient site practices, and adapting to market demands. Well-known for its offerings within the mining, oil and gas, and construction industries, Minprovise has undergone consistent expansion as a service provider. The company has also received positive feedback from global mining groups and partners about its continuous improvement practices, financial improvements and safety implementation. Minprovise also ensures it gives back to the communities and individuals that have helped to foster the company’s growth. 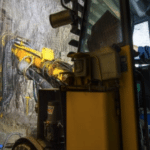 Minprovise general manager Tony Sutton said that the company’s culture of partnering with teams and clients allowed the provider to grow within the mining industry. Minprovise has grown since its foundation in 2004 into a significant provider of advice and services to the minerals processing sector. 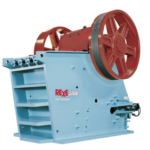 It’s even in the company’s name, which is derived from ‘minerals processing advice’.